One of the most significant political philosophers of the twentieth century, Carl Schmitt is a deeply controversial figure who has been labeled both a Nazi sympathizer and a modern-day Thomas Hobbes. 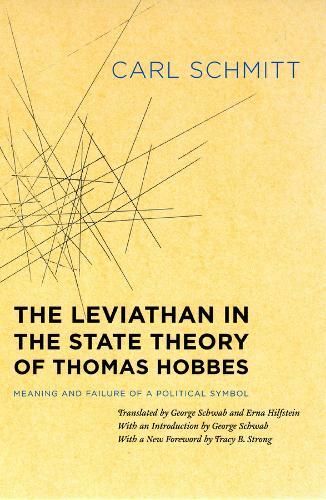 First published in 1938, "The Leviathan in the State Theory of Thomas Hobbes" used the Enlightenment philosopher's enduring symbol of the protective Leviathan to address the nature of modern statehood. A work that predicted the demise of the Third Reich and that still holds relevance in today's security-obsessed society, this volume will be essential reading for students and scholars of political science.